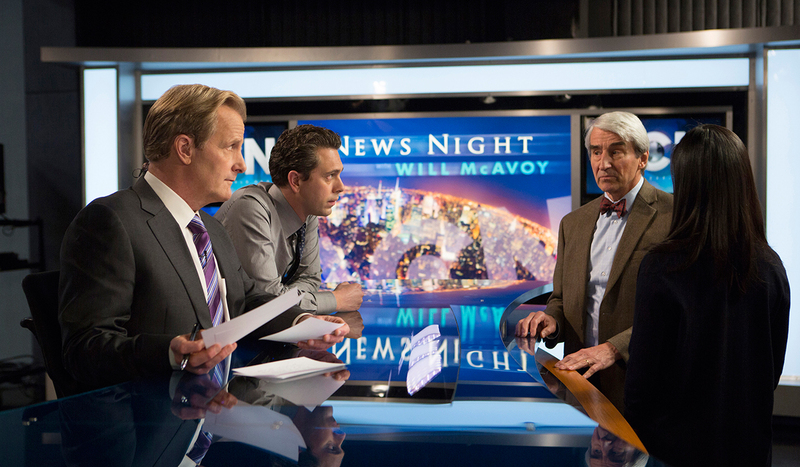 ‘The Newsroom’ might be the most frustrating television experience of my adult life. The first season helped me discover my capacity for hate-watching something and made it difficult to revisit old episodes of ‘The West Wing’ without all of Aaron Sorkin’s annoying tics collapsing on top of me like a drunk Charlie Skinner. So I turned to the biggest and most hopeful ‘Newsroom’ fan I know: my mother. Let’s start with a little context: The Newsroom might be the most frustrating television experience of my adult life. The first season helped me discover my capacity for hate-watching something and made it difficult to revisit old episodes of The West Wing without all of Aaron Sorkin’s annoying tics collapsing on top of me like a drunk Charlie Skinner. Season 2 was a little better (and I do genuinely enjoy some aspects of the show), but it didn’t really fix most of the core problems. Sorkin’s fake “apology” for some of the show’s flaws was of the “I’m sorry you’re so dumb” variety, which, combined with the announcement that the season would, in part, tackle “the influence of social media on traditional news gathering,” did not do much to generate hope for this third and final season (and Sorkin’s last hurrah on TV). So I turned to the biggest and most hopeful Newsroom fan I know: my mother. Sorkin’s idealism is perfectly pitched for my mom, a staunch Clinton Democrat who has spent the last decade or so working to improve my town’s school system. Hers is thankless, tedious, often deeply frustrating labor (if you think people care a lot about TV, you should hear them complain about teachers). That’s why the promise inherent in much of Sorkin’s work — that if people just talk fast enough and say smart enough things, they’ll succeed in making the world a better place — is appealing to her. Sorkin is great for everyone’s mom, really. His gift is making boring, tedious work — programming, walking to meetings, walking from meetings, sitting in meetings — feel important. He presents a version of the world in which everyone cares about their jobs and is really good at them. No matter how superficial their work might seem — whether it’s writing sketch comedy or delivering sports highlight packages — it feels like the characters are doing these things for the good of humanity, damn it. That’s, unsurprisingly, not something that appeals much to me, or most younger people I know. I don’t watch TV aspirationally, and even when I do, it’s focused on characters who are cooler than me but also flawed (hello, Ilana Glazer). My mom is the opposite: She watches TV to immerse herself in a different world. She doesn’t understand why you’d watch a show with a darker point of view. 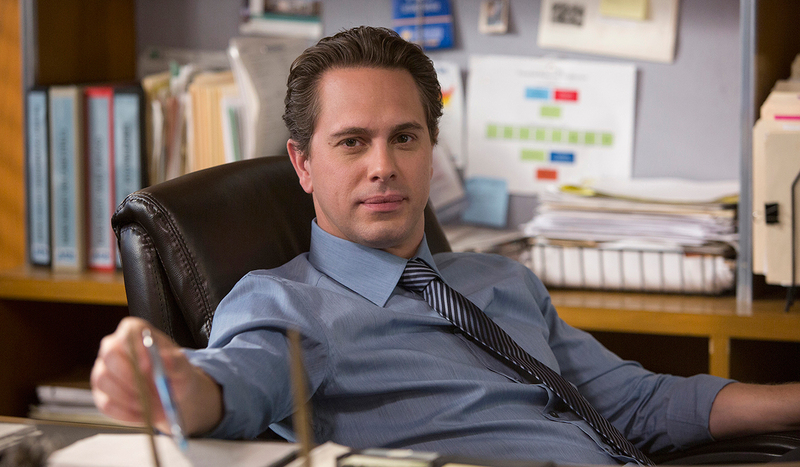 I think the reason I was so disappointed by the first two seasons of The Newsroom is that I wasn’t really the target audience. The Newsroom isn’t for me, it’s for my mom. To test this theory out, I watched “Boston,” the Season 3 premiere, with her, and we talked about it over trail mix (we were out of popcorn). Oddly enough, I totally agree with her main assessment: “It wasn’t my favorite episode, but I liked it.” “Boston” is The Newsroom at pretty much its least objectionable. It’s not good, but it also didn’t make me want to bash my head into a wall, which honestly is a big improvement. There seem to have been some slight adjustments made. Will McAvoy, everyone’s favorite pompous anchor, is much closer to Obnoxious Blowhard than Godly White Man. Sorkin toned down the lecturing considerably, and when Will does spout off, there’s more awareness of how full of it he really is. My mom somehow doesn’t find Will irritating. Where I see a mouthpiece for Sorkin’s criticism of the “worst period generation period ever period,” she sees a genuinely optimistic guy. My mom was really into the Will-MacKenzie–Diane Sawyer wedding planning, since “they didn’t make Jeff Daniels and Emily Mortimer overly couple-ish.” (To be fair to my mom, MacKenzie has actually become one of the better characters on the show once Sorkin got out of Mortimer’s way and just let her be awesome and bully Sam Waterston and Daniels.) When I groaned at Will giving Neal his credit card to go buy an air-gapped laptop, my mom said, “It makes you want to support somebody who would do that.” Will is a warm, patriarchal figure, my mom is nurturing, and I am a cruel, bad son who doesn’t call home enough. Most of her questions after watching the episode were about the realism of that Neal plot, which drifts into Edward Snowden territory when a government whistle-blower leaves him thousands of classified documents on a flash drive taped inside of a toilet. My mom questioned why Neal would need a new computer to look at the flash drive, and whether he’d actually be guilty of espionage (what’s up, Glenn Greenwald?). “There’s a lot going on, right, Eric?” she asked in the middle of one particularly intense check-in with Sloan Sabbith, Finance Detective. (I am legitimately upset with myself for taking 20 minutes to realize ACN was the company she was investigating.) That plot is also the best part of the episode, since it allows Sloan and Don a bunch of time to be adorable and spit out unobjectionable Sorkin banter. It’s also just one of an impressive number of threads that get knotted up on the ACN terrace, with only a slight amount of clunkiness. The clunkiness comes from the episode’s treatment of the media’s handling of the Boston Marathon bombing. The sense of overbearing collegiality (too overbearing, in the case of Don-Maggie/Jim-Maggie/Don-Sloan/etc.) is the biggest thing my mom likes about the show. When I asked whether she disliked any of the characters, she said, “That guy Reese is usually a bad guy, but in this one, he wasn’t so bad.” Everyone is really, mostly, a good guy on this show. With the possible exception of The Social Network, that’s pretty much Sorkin’s whole M.O. Everyone on The West Wing is a good guy, and it works (that’s why the Toby story in the last season is so tone-deaf). It’s hard for even me to deny that sometimes it’s nice to just see everyone being good (I like Parks and Rec as much as the next person). But on The West Wing, the Bartlet administration had legitimate enemies, dealing with political opposition, disease, and even terrorists. The Newsroom suffers because that dynamic doesn’t translate into a cable news environment. If you like Sorkin, “Boston” is a decent enough hour of TV. There are lots of good guys, moving plot parts, and not-so-subtle romantic tensions. My mom still liked it, even if she got annoyed with my pestering (she had to get back to watching The Good Wife). But for me, TV is most interesting when people actually fight about stuff and don’t have faceless antagonists like “Reddit” or “ratings.” When I mentioned how that lack of conflict bothered me, my mom just stared at me dismissively and said, “Oh, you’re cynical.” She wasn’t wrong, but that will probably still come up in my next few therapy sessions. Eric Thurm (@EricThurm) is a writer living in New York who has written for Complex, the A.V. Club, and Los Angeles Review of Books.